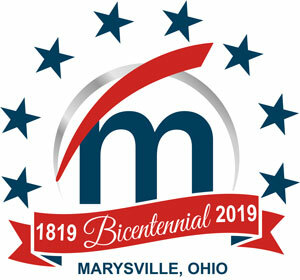 Editor’s note: The city of Marysville will celebrate its 200th birthday on Aug. 10, 2019. In order to help tell the city’s story, we asked local residents of all ages to give us their thoughts on what Marysville means to them. This article is part of a series we plan to run once a month for the next year and will culminate with a special section we will publish in August 2019, that highlights the 200-year history. If you have pictures or stories you’d like to share to be included in this commemorative section, please email kb@marysvillejt.com. A Worthington man had a vision for starting his business, and Marysville was the place he could see the next part of his life take shape. Around 1982, shortly after he graduated from The Ohio State University, Tom Truitt was 24 years old when he opened his optometry business, Truitt and Truitt Optometrists, in Marysville. At that time, he had only come to Marysville to visit his friends and to play golf on Tuesday nights. His friends told him he would love the community, and they were right. Truitt had a rocky start when opening his business. He chose Marysville to escape the “hustle and bustle of Columbus,” and it felt “just right.” However, he was rejected by three banks in town, and had to use a financial group to get a loan at 21-percent interest. “Looking back, it was kind of scary, but it all paid off,” Truitt said. Truitt was able to make friends through golf leagues and other events. They later helped remodel the office building he purchased that would later become his optometry facility. “We feel blessed the community has supported us,” he said. He knew starting a business in Marysville was a good idea, even though the economy was in a recession at the time. He knew it was poised for growth, having a “good, solid industry” and low unemployment, especially with Honda coming. Truitt said he hopes the community can retain its small-town identity as industries continue to move into the county and Columbus starts expanding in Marysville’s direction. He also thinks efforts like Care Train help keep the community supportive of its residents. And in the face of changing demographics, he said there’s a strong possibility for younger audiences to flock to Marysville because of its promise of “genuine relationships” and sense of community.